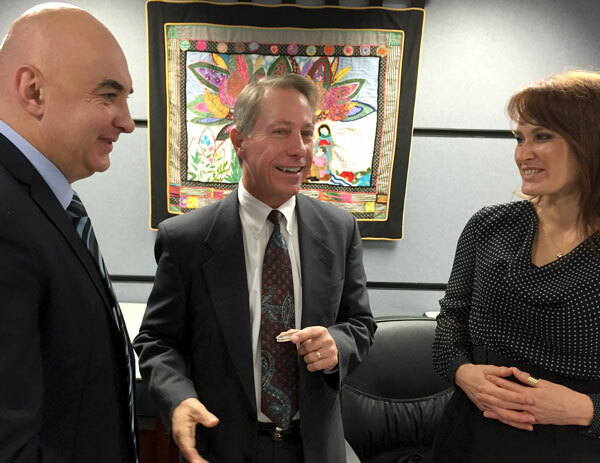 The International Visitor Leadership Program (IVLP) brought five Polish military professionals to visit the United States – a country they view as a leader in post-traumatic stress disorder (PTSD) research and treatment. During their 3-week program entitled “Wounded Warriors Assistance,” the group (consisting of two doctors, a psychologist, a journalist, and a disabled veteran) focused their studies on veteran care, community integration, psychological assessment, and ongoing medical treatment. A highlight of the participants’ experience was meeting with Representative Brad Wenstrup (Ohio – 2nd district), an Iraq war veteran and a doctor. Rep. Wenstrup foresees future collaboration between U.S. military doctors and their Polish counterparts in Forward Surgical Team (FST) training. The group agreed with his opinion that increased collaboration and engagement with foreign partners about the harsh realities of combat could mean less war in the future. 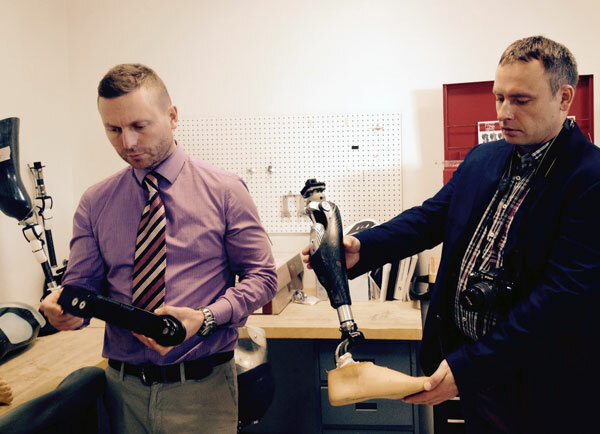 Two participants, both military doctors, were thrilled to meet with orthopedic surgeons at the Center for the Intrepid at the Brooke Army Medical Center (BAMC) in San Antonio, where they examined the newest achievements in prosthetics. The visitors also examined policies and services aimed at helping to reintroduce veterans into family and community life. One example was a meeting with Jacksonville’s K9 for Warriors, which works to match service dogs with veterans suffering from PTSD and/or traumatic brain injury as a result of military service post-9/11. Overall, the program provided a balanced assessment of best practices and strategies used to support wounded warriors and increase public interest and awareness about their unique needs. The visitors were eager to get to work applying their findings and observations in their communities back home.